The Huawei P30 Pro is an attractive smartphone that improves on the P20 Pro and can capture impressive images with not too much effort on the user's part. However, there are still areas that can be improved. That's not to say we don't like the Huawei P30 Pro, as we do, and we can definitely see the direction Huawei smartphones are going in which is an exciting one for photographers. 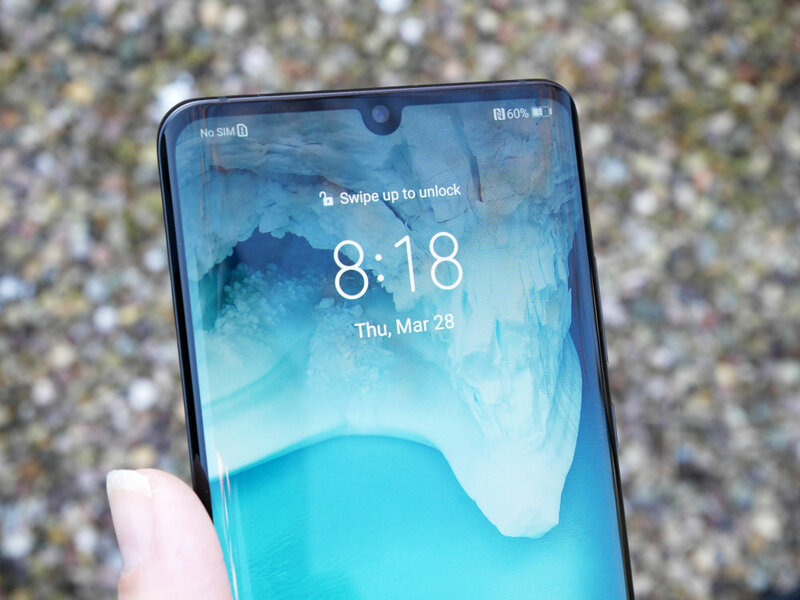 The Huawei P30 Pro is an excellent flagship smartphone option and with it coming in at around £800, it definitely puts up a good fight against the Samsung Galaxy S10 Plus and Apple's iPhones. In fact, for photography fans, we may even go as far as to say that it could be the photographer's smartphone of choice (to date)! 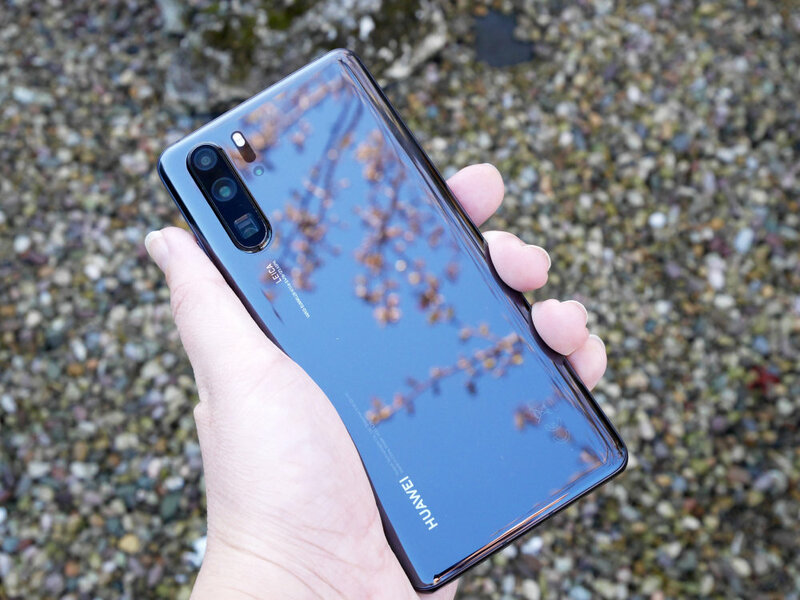 The Huawei P30 Pro is billed as the 'ultimate evolution in mobile photography' by its CEO Huawei Consumer Director Richard Yu which is a bold statement and one that certainly pricked the ears of the journalists at the big launch event in Paris. Huawei also said they want to 're-write the rules of photography' by bringing better lenses, improved AI and all-around better photography experience to its devices. Having said that, a focus on the smartphone camera isn't actually something new for Huawei who, with the Mate 10 Pro and P20 Pro, started 're-writing the rules of photography' a couple of years back, showing photographers that they don't always need a 'proper' camera to capture good photos and the tech giant is continuing on its photographic journey with the P30 Pro that introduces improved camera specs, better ISO, improved low light performance, closer focus and an improved portrait mode to just mention a few of the AI-focused features the P30 Pro has to offer. There's no denying that the Huawei P30 Pro, on paper, lines-up to be an impressive smartphone with a camera spec which, if it performs as well as the hype suggests, could be a big winner in the photography league but we won't know that unless we put it to the test so let's get on with the full review. 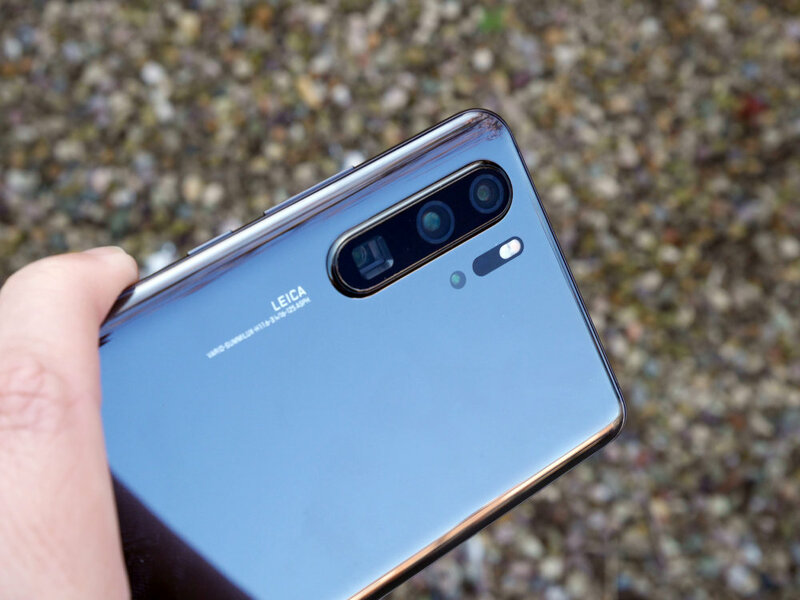 The Huawei P30 Pro has a Lecia Quad Camera System built-in which consists of a 40MP f/1.6, 27mm (equivalent) lens, 20MP f/2.2, 16mm (equivalent) lens and an 8MP f/3.4, 125mm (equivalent) lens which Huawei is calling a 'periscope' lens. There's also a Touch Of Flight sensor built-in which, basically, calculates object distances in images allowing for more accurate background blur in portraits and should allow for better separation between subject/background without clipping. Phase Detection Auto Focus can be found on the wide, ultra-wide and telephoto lens while Optical Image Stabilisation can be found on the 40MP and 8MP shooters. The 8MP f/3.4 periscope lens comes equipped with a 5x optical zoom and you also get access to 10x hybrid zoom as well as 50x digital zoom - something we'll be testing in the performance section of the review. While the huge megapixels and impressive zoom are standout features, one of the most interesting things discussed at the launch was the introduction of the RYYB (red, yellow, yellow, blue) sensor rather than the typical RGGB (red, green, green, blue) sensor found in other smartphones and cameras. Huawei says this change allows more light to be absorbed by the sensor, improving low light performance. To help low light performance even further, Huawei has increased the maximum ISO to 409,600 (on the P20 Pro it was 102,400) and fans of macro photography will be happy to hear that the Huawei P30 Pro has a close focus distance of 2.5cm. On the front, you find a 32MP f/2.0 selfie camera that uses the same bokeh effects as the rear camera and you can also add beauty effects so you're Instagram-ready. 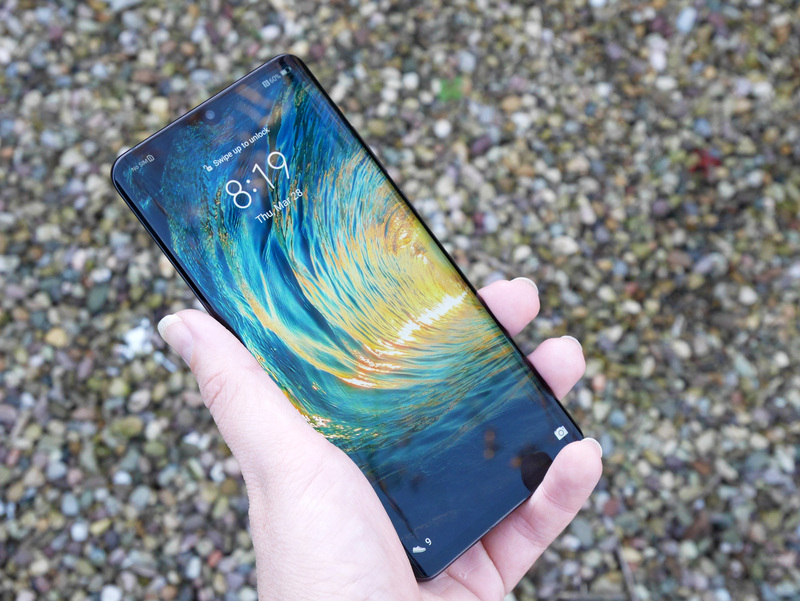 Unlike some other smartphone creators, Huawei has chosen to go with a dewdrop front camera design rather than an in-screen cutout but this doesn't change the fact that the screen-to-body ratio is impressive. You also get access to the HDR and low-light modes when working with the selfie camera. As well as improving the camera, Huawei has worked hard to improve the software, bringing a new HDR+ mode to the smartphone, which Huawei says will make capturing backlit portraits easier, and AI stabilisation has been worked on which is used, in conjunction with the OIS to reduce camera shake. Ai HDR+ gives the smartphone machine learning powers but Huawei says this was done before the smartphone was released and it doesn't mean the device studies data from users to improve images as you progress on your photographic journey with it. It does mean, however, that the smartphone can recognise scenes and adjust colour, contrast, brightness, exposure, noise reduction and image sharpening to suit. For example, hold the P30 Pro up to the sky with the AI mode enabled and it will say 'Blue Sky' to let you know it's making adjustments for this. There's a 6.47-inch display with an in-screen fingerprint sensor for unlocking the smartphone, Qi wireless charging is available, or, if you want to speed things up, you can use one of Huawei's fast chargers (40w USB-C charging will get you from 0-70% battery charge in 30 minutes - impressive). The device is rated IP68 for water-resistance so you don't need to worry about water damage should you be the type who takes their smartphone into the bathroom when having a soak and there's a big 4200mAh battery built-in along with the latest Kirin 980 chipset. Another cool charging feature is the Huawei P30 Pro's reverse charge which allows you to power earbuds (headphones), another smartphone or even an electric toothbrush! Video fans will be happy to hear that they can use AIS plus OIS to steady their handheld footage which can be captured in 4K (UHD) 2160p at 30fps, 1080p at 60/30fps and 720p at 960fps. You can also use two rear cameras at the same time so you can look at the overall picture and zoom in at the same time with Huawei's Dual-View video option. The selfie camera shoots 1080p video at 30fps. As for RAM/storage, the version on test has 6GB of RAM and 128GB of storage but an 8GB/512GB version is also available should you need more storage. Plus, you can extend the smartphone's memory capacity further with a Huawei NM (NanoMemory) card. The Huawei P30 Pro is available in a variety of colours, on test is the black version, but you can also purchase a really cool looking Amber Sunrise (orange/red), Aurora (ombre effect that goes from light to dark blue) and breathing crystal which can only be fully appreciated in real life! As for price, the Huawei P30 Pro is available for £899 (128GB version) or £1099 for the 512GB version. Rear Camera: 40MP, f/1.6, 27mm, 20MP, f/2.2, 16mm & 8MP, f/3.4, 125mm. Plus, TOF 3D camera. We had got to a point where most premium smartphones looked the same but with the introduction of dewdrop or cutout cameras and thinner bezels, they are starting to look a bit slicker and the Huawei P30 Pro certainly sits under this banner. Its barely-there bezels and curved edges tell you it's a premium phone and the almost edge-to-edge 6.47-inch screen is a lovely looking thing that's bright, clear and performs well in bright light. As mentioned, the front camera is in a dewdrop design which removes the need for a top bar and there's no chin in-sight either. The 'dewdrop vs cutout' display is the latest on-going smartphone debate and in all honesty, I don't really mind either but do find the dewdrop slightly less distracting. On the back, you find the three main cameras stacked on the left side and the do protrude slightly so the smartphone doesn't sit flush when on a surface (unless you pop it in a case, of course). There's also the TOF camera and flash sitting to the side but that's it for rear detail, apart from some branding from Huawei and Leica. While we're talking about the back, it's worth mentioning that it's constructed from glass which is great for wireless charging but it does mean it has a tendency to slide off things so be careful with it! The P30 Pro does come with a clear silicone case and it's a good idea to pop it on as soon as you get your hands on the device. Of course, these don't offer much in the way in protection from drops so you may want to invest in a better case/screen protector for peace of mind. This will also protect the smartphone from fingerprints as the surface is highly reflective (you can see your face in it!) and as a result, attracts fingerprints. To the bottom is a USB-C connector which offers fast charging when used with a 40W charger and a speaker but no audio jack port which will annoy some while others will be quite happy to use wireless earbuds. On the side is the power/volume controls. 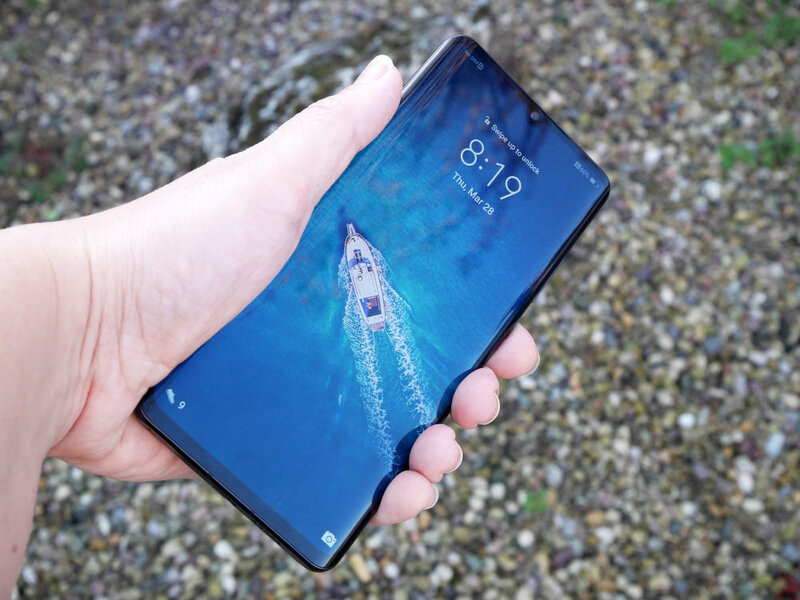 In the hand, the Huawei P30 Pro fits comfortably and is easy to navigate with just one hand but when taking photos, we do recommend you use two hands to reduce shake. Plus, as it's slippy without a case, it's just safer to use it with two hands. For comparison, the P30 Pro is smaller and lighter than the iPhone X - Apple's flagship device. When sat side-by-side with the P20 Pro, the screen size and overall design does look a lot more modern even if the P20 Pro is only a year older than the P30 Pro. The P30 Pro has a nicer, cleaner and curvier frame to it, too. Plus, the lack of a bottom chin and button makes a big difference to the overall aesthetics of the device. The P30 Pro is bigger and heavier than the Samsung Galaxy S10 but you do get a bigger screen as a result. In the camera app, you can scroll through the shooting modes at the bottom of the screen (above the shutter release button). You can switch between playback, photo and selfie modes, and the middle button is the shutter release button. In "Pro" mode, you can manually change camera settings, as well as switch on raw shooting. 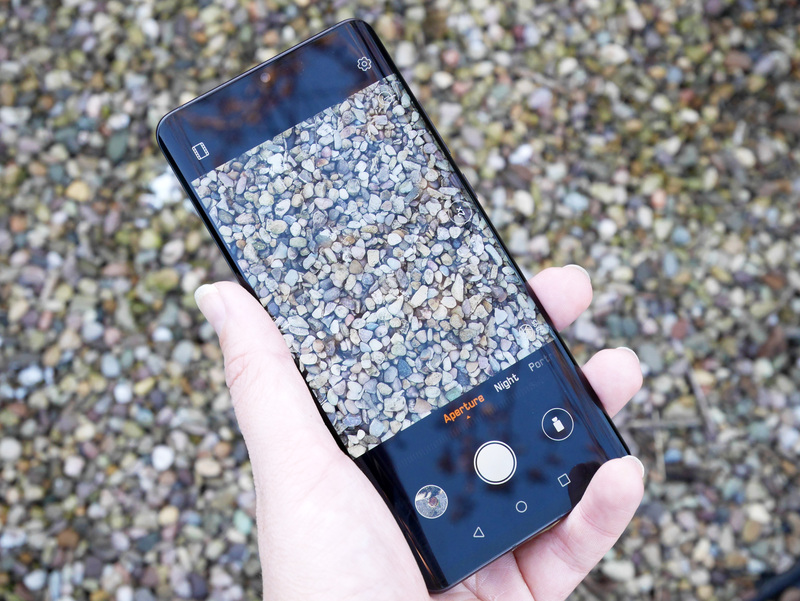 It's actually very similar to other Huawei smartphone native camera apps but likewise, those new to Huawei devices will find it easy to navigate. At the top of the screen, there are different shortcuts depending on what photo mode you're in and to the right is the zoom scale which you click to alter between wide, 1x, 5x and 10x. To access the 50x zoom, you 'pinch zoom' on the screen. You can also use the screen to set the focus position, as well as adjust exposure, and if you hold the shutter button down, continuous shooting kicks in. As well as using the shutter button to capture images, you can quickly press the volume control which you can also use to quickly access the camera app when it's not open. As for modes, there are plenty to play with including Aperture, Night, Portrait (with bokeh, beauty and lighting controls), Photo, Video, Pro, Monochrome, Time-lapse, Panorama, HDR, Slow-mo, Light Painting, Macro, Underwater and Document Scan built-in. The phone has an AnTuTu performance rating of 291098 and a Geekbench score of 3278 single-core and 9793 multi-core. Battery life - Battery life is good, with the smartphone featuring an impressive 4200mAh battery and fast charging is available should you need to give the battery a boost.